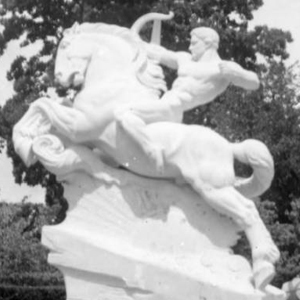 The Brookgreen Gardens Collection includes photographs from the archives of Archer and Anna Huntington who established Brookgreen Gardens in 1931. The couple designed the gardens to preserve the native flora and fauna as well as display sculptures by Anna and other artists in a natural setting. Many of the photographs include features of the garden, Murrells Inlet residents and photographs taken by North Carolina photographer, Bayard Wooten. For more information on Brookgreen Gardens visit their website: brookgreen.org.